What is it about sequels that everyone is always excited to hear that one was made, but it nearly always ends up being disappointing? Is the issue that the second is actually just never as good as the first... or is the comparison just too much to live up to? This fall, however, Disney•Pixar has found a way to set aside our preconceived notions about sequels by releasing the much anticipated prequel to Monsters, Inc.
Where did Mike Wazowski and Sulley meet? How did they team up to become a star scare team? What friends did they pal around with along the way? 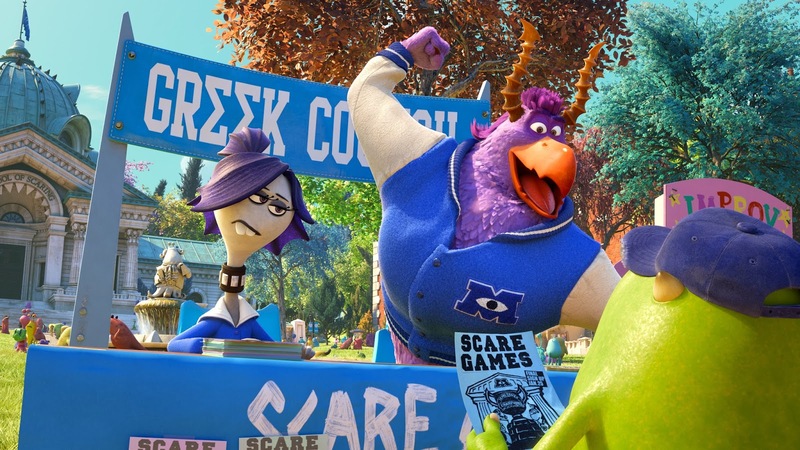 The answers are all found in the hilarious, fun, creative debut of Monsters University. Available today, October 29th, as a 4-Disc Ultimate Collector's Edition Blu-ray 3D Combo Pack, a 3-Disc Collector's Edition Blu-ray Combo Pack, a 3-Disc Blu-ray Combo Pack, on DVD and On-Demand, Monsters University takes viewers back to where it all began. 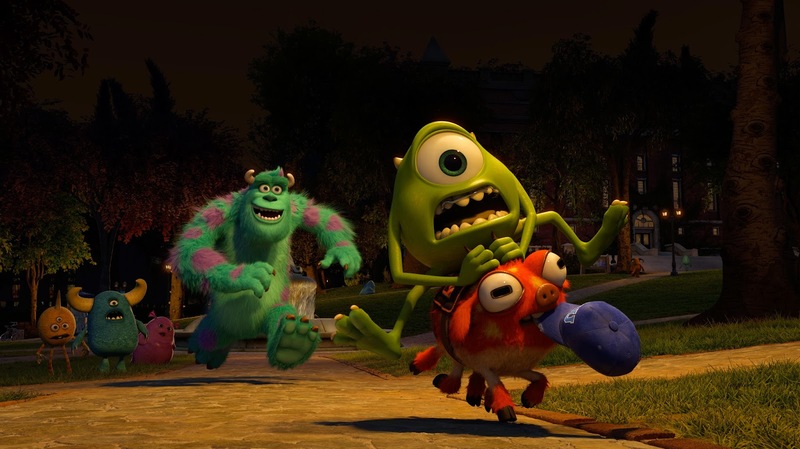 Ever since college-bound Mike Wazowski (voiced by Billy Crystal) was a young monster, he has dreamed of becoming a Scarer and getting his degree from the prestigious Monsters University (MU). But during his first semester at MU, Mike's plans are derailed when he crosses paths with hotshot James P. Sullivan, "Sulley" (voiced by John Goodman), a natural-born Scarer. Even Mike's extreme studying can't help him as the pair's out-of-control competitive spirit gets them both kicked out of the University's elite Scare Program. To make matters worse, they realize they will have to work together, along with an odd bunch of misfit monsters, if they ever hope to make things right. While there is a whole slew of ups and downs and all sorts of humorous, crazy antics, Monsters University also goes beyond just laughs. I love the way that this movie bravely explores themes of self-discovery and the revelations that come with growing up. Beyond those, it addresses the fact that it is important to work hard, but that it is also okay to fail. Considering that most children's films center on the idea that you can achieve any dream if you're determined enough, real life shows us that sometimes that just isn't possible. Instead, Monsters University takes this concept and shows that sometimes failing isn't completely bad and that realizing that some dreams are meant to stay dreams can still be great. The real moral of the story (and life) is to stay comfortable with yourself, your capabilities and your own unique inner strengths to end up the best you can be. 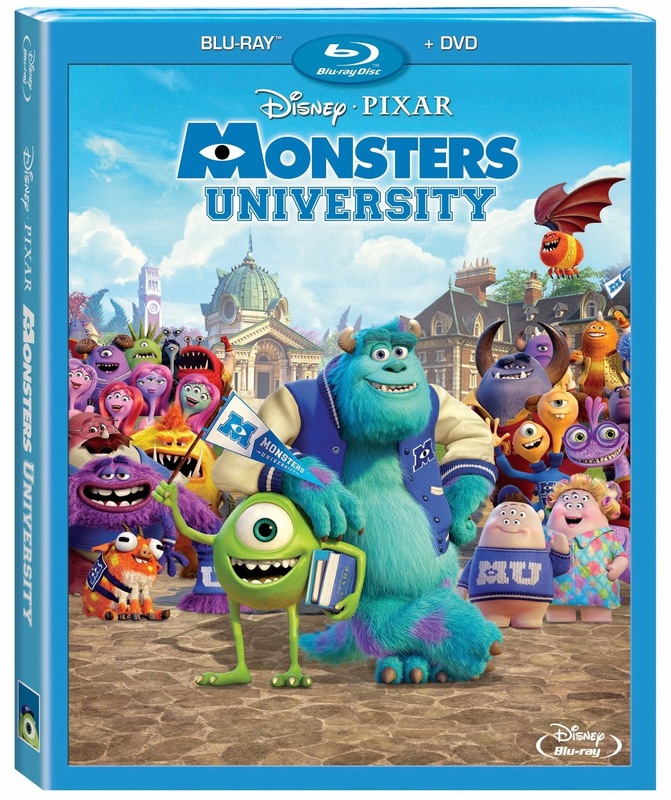 Whether you saw Monsters University in theaters or your first glimpse will be at home, you'll love the stunning high definition of the Blu-ray, hours of all-new bonus material, in-depth behind the scenes features, deleted scenes, the animated theatrical short The Blue Umbrella and much more. Campus Life – What's it like being on a production crew at Pixar? Get a look at a day in the life of the Monsters University crew through their own eyes. Story School – This documentary examines the challenges of creating a prequel as well as themes that run through the story, and the change in focus from Sulley to Mike. This clip also looks at how gags are developed, from writing jokes to brainstorming a million ideas, only 5% of which actually end up in the movie. Scare Games – At Pixar, they play hard while they work. The same people who keep the film production moving (producers, managers, coordinators and artists) are also the ones who bring spirit and excitement to some of their extracurricular activities. Check out the MU production teams as they go head to head in the mostly playful Pixar Scare Games competitions! Welcome to MU – Sets aren't just buildings, they are the worlds these characters live in and explore. 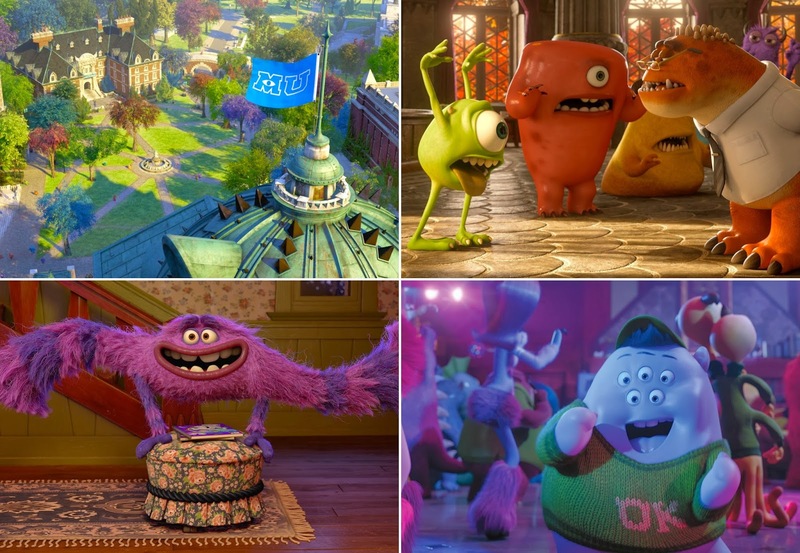 This look at the Monsters University campus and its development is told from the perspective of the artists who created each piece of the campus from the architecture to the ivy leaves. .
Music Appreciation – Randy Newman's scores are a mainstay of Pixar films, and this documentary gives a privileged look at his creative process. Follow the Monsters University scoring process from spotting to writing and on to the scoring session, including special college-themed recording sessions. Scare Tactics – Animators are actors who digitally bring the characters to life. In this look at how the MU animation team worked, it shows their process of how they channeled their own monster-selves and created moments on screen that were really funny, really scary and also really serious, sometimes all at the same time. Color and Light – How can a single painting set the tone for an entire scene? Take a look at the creation of the colorscripts and how they were realized technically in the final film. Along with the process, this piece explores the many layers of technical innovation required to produce such a naturalistic feel. Furry Monsters: A Technical Retrospective – Explore the difficulties in creating characters that are 20 years younger with tools that are 10 years more advanced in this contrasting look at the differing technical challenges that arose when making Monsters, Inc. and Monsters University. Deleted Scenes – Four separate scenes – Rivalry, Recon, Movie Night, and Drama Class are highlighted with an introduction from director Dan Scanlon. The Blue Umbrella – This animated short film from Pixar Animation Studios, directed by Saschka Unseld and produced by Marc Greenberg, played in theaters in front of Monsters University. The Blue Umbrella tells the story of an evening commute in which the rain starts to fall and the city comes alive to the sound of dripping rain pipes, whistling awnings and gurgling gutters. 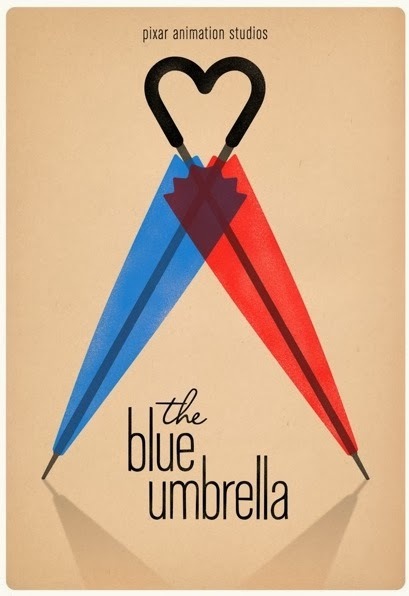 And in the midst, two umbrellas—one blue, one not—fall eternally in love. Rated G and with a run time of approximately 103 minutes, Monsters University is available in stores now and from Amazon. This is one sequel that you'll want in your video collection and will surely watch again and again! Our entire family has enjoyed it multiple times and it was even Little Sister B's first pick of movies to watch on our recent airplane ride, meaning she definitely gives it two thumbs up! 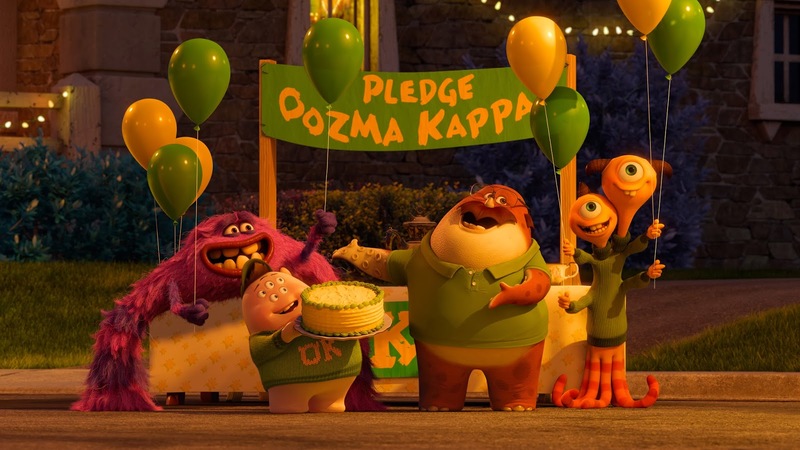 Stay connected with the latest news and information about Monsters University on the Disney website and by connecting with them on Facebook and Twitter. Other than the copy of Monsters University that I was provided by Disney in order to facilitate my review, I was not compensated or enticed to do this review in any way. This review is solely my honest opinion about this film. I promised my grandkids I would buy them the DVD when it came out. They love Monster U. Thank you for the reminder. Great review! This looks like so much fun!